Day 23 – What are your favorite activities to do on-line? Is there more to do beyond blogging? this one is so super easy for me - blog and tweet. 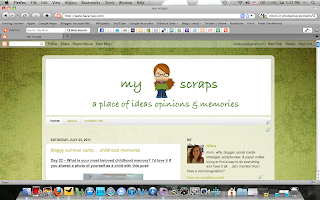 I love working on my own blog and reading as many blogs as I can. I am also a self-admitted twitter addict. I think Twitter is the best social media tool out there. Once you figure it out and learn how to engage. . .the possibilities are endless. i occassionally shop online - though I really like to see it and touch it in person before I buy it. 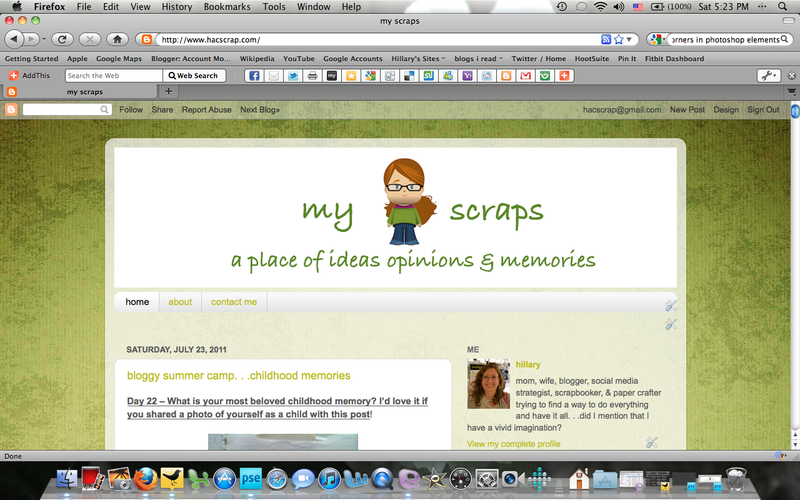 i take workshops and scrapbooking classes online as well.